Choose the exact location for the flower bed. You can place it in the backyard or front yard. It will be nice to have the flower bed located at the center of the garden. It can be the focal point in the garden. The plain lawn in the front yard will be disappeared after you add a fabulous flower in the middle of the garden. 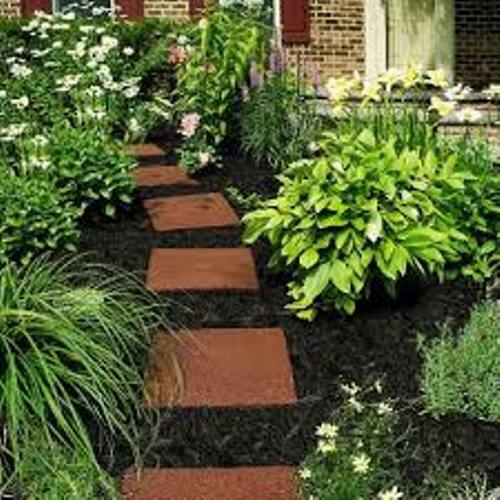 If you want to enjoy a wonderful visual transition between the lawn and walkway, you can have the flower along the walkway. Get ideas on how to decorate garden with bricks here. Now you have to make the sketch to determine the location for the flower bed, mulch, walkway and trees. Provide the exact measurement to make the front yard enticing to view. 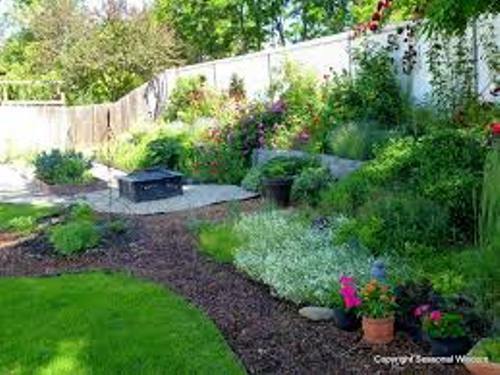 The next thing that you can do is selecting the suitable plants for decorating the flower beds. You can pick the flowering plants which can add colors in the garden or you can pick the perennials like bushes and shrubs. 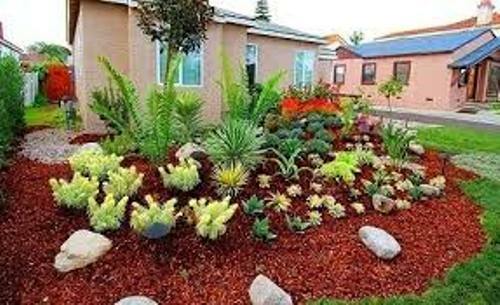 The flowers bed and plants that you have put on the ground should be watered regularly if you want them to grow perfectly. You can spread the mulch on the top of the soil around the garden by using a rake. 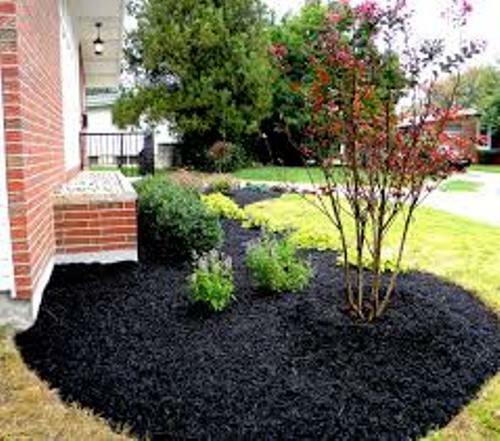 The depth of the mulch should be around 2 to 3 inches. 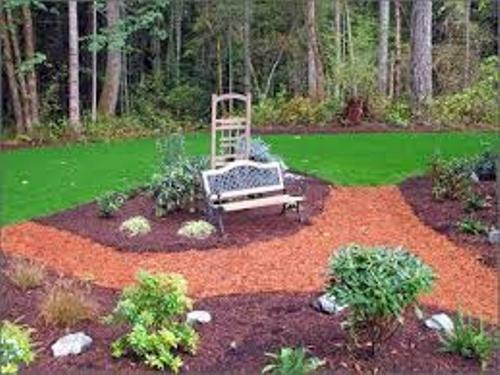 Are you fascinated reading ways on how to decorate garden with mulch?